Miss Auburn and SGA Executive Officers (like SGA Vice President Melanie Smith, center), obviously (and brightly), but what are these other positions on the ballot? Free candy. Free cookies. The incessant “Which College Are You Ins.” The countless number of platform fliers pressed into your hand. Regardless of what stands out the most for students about the insanity that is Auburn’s SGA campaign week, it’s safe to say most are familiar with it, if not exactly what it’s all about. 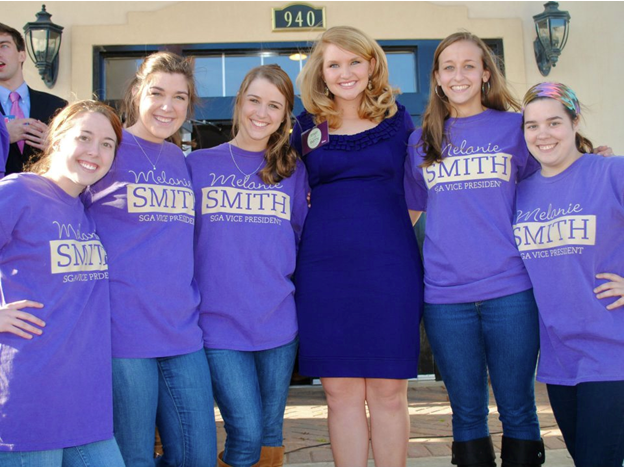 It’s almost impossible not to be aware of the SGA executive officer and Miss Auburn election thanks to the sea of supporters in brightly-colored T-shirts that flood campus for the week. The election that typically remains under the radar, however, is the election of college senators… likely because most students aren’t even aware they have senators representing them in their college. 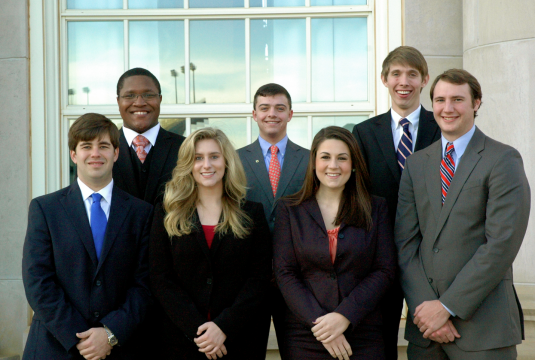 The Auburn University Student Senate is the legislative branch of the SGA. Senate meetings involve drafting and voting on legislation that affects the student life at Auburn University. Senators are either appointed by members of their college or, if there are more candidates interested in the position than are spots available, campaign for the position. Coressel sheds a positive light on campaigning. Coressel says the life of a senator has its perks but also many responsibilities. Want provisional status for your campus club? Ask a senator. Hope the senator writes a bill. Hope the other senators vote on and pass the bill. Senate meetings are open to all students and faculty and are held Monday at 7:30 pm in the Student Center, Room 2222. Related: Christian sorority now on campus. My roommate ran for Miss Auburn at the same time her boyfriend ran for SGA president. And her campaign manager and I had the same first name. Chaos and confusion reigned. Ah, good times.